Naturally derived cleansers gently yet thoroughly cleanse the hair. A special blend of moisturizing ingredients imparts softness and shine as the formula adds body and fullness. Suitable for all hair and scalp types when mildness is desired. Cool Kiehl's Fact: The Amino Acid and Coconut Oil derived cleansers in the formula create its delightful, creamy lather. How To Apply : Wet hair Gently massage a small amount through the scalp area. Rinse with warm water. 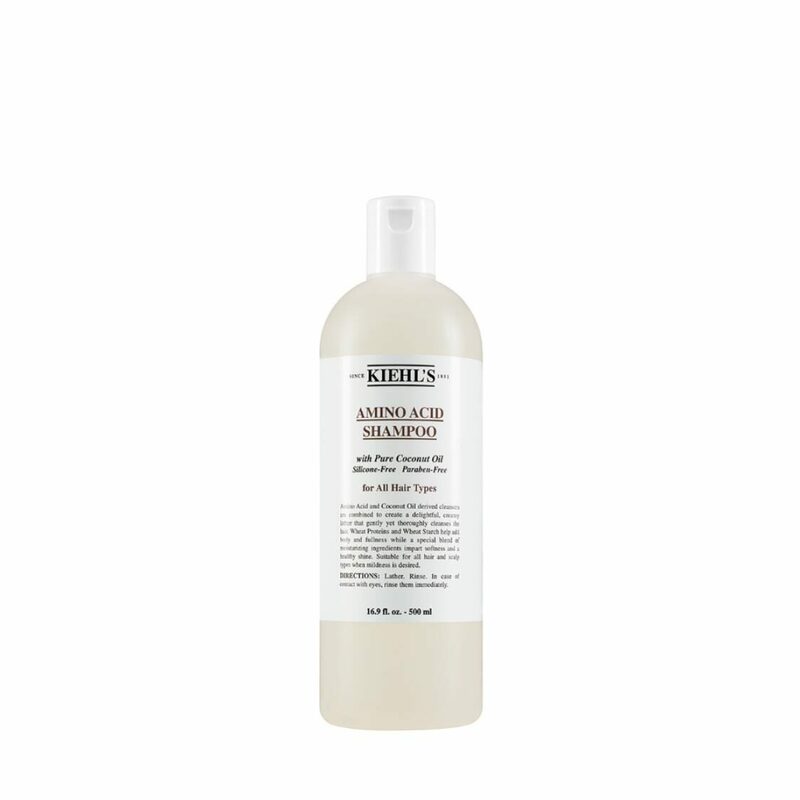 Repeat if desired, and follow with the Kiehls Conditioner or Styling Aid of your choice.